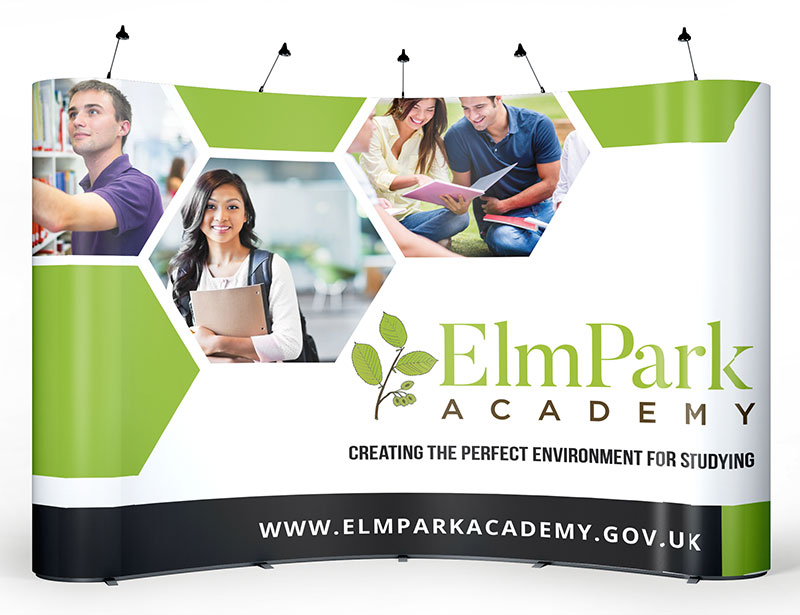 Are you looking to create a big graphics punch at a forthcoming conference or exhibition? Or maybe you want to create an impressive welcome to visitors in your reception. Either way, our pop-up stands could be exactly what you’re looking for. 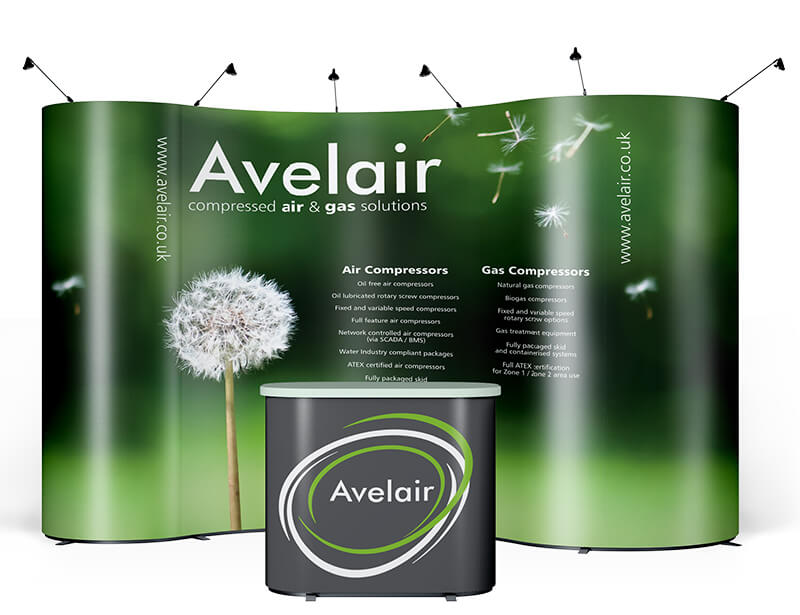 Based in Ashford we supply pop-up stands across Ashford, Folkestone, Canterbury and Dover with fast turnaround and no minimum order quantity. Available as either a straight or curved option, you have the choice of a range of widths depending on the space you have available and the impact you want to create. 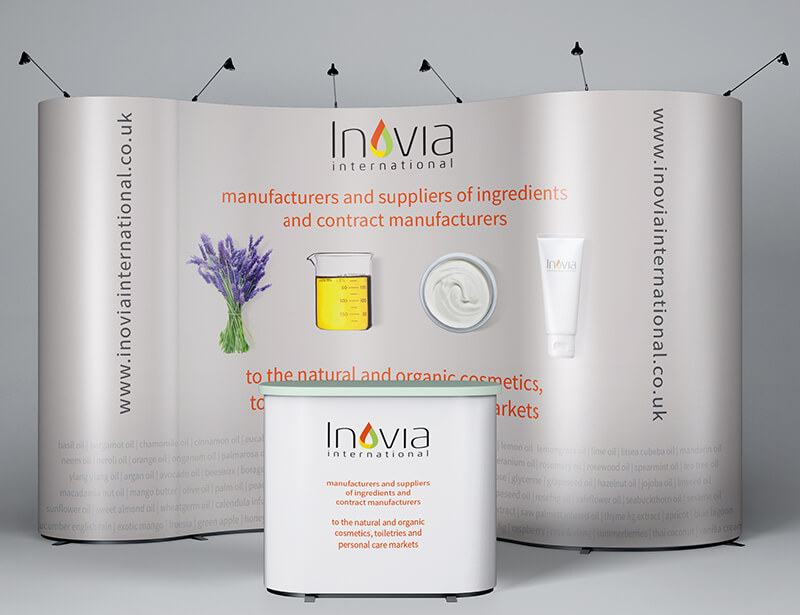 Our pop up stands come complete with a wheeled carry case for ease of transport, and you can add a wooden counter top and a wraparound graphic around the case to use as a podium to meet and greet visitors to your stand. Made from lightweight aluminium the frames are strong and simple to set up. The graphic panels are easily mounted and secured by magnets, providing you with an eye catching display to really showcase your brand. 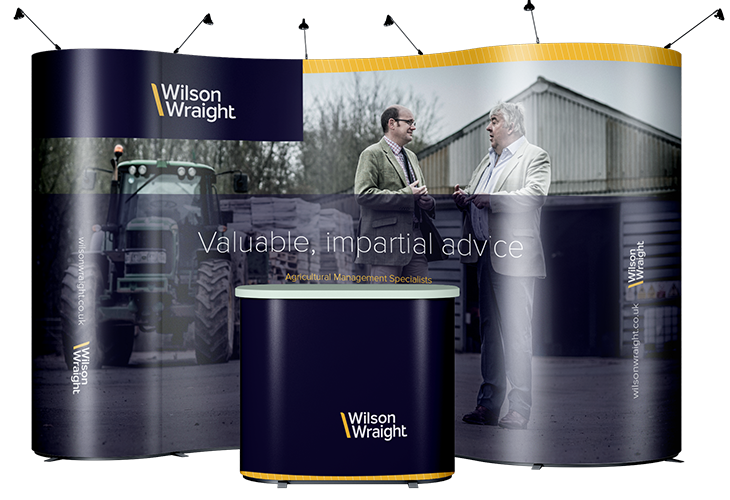 If you're looking for a pop up stand in Ashford, Folkestone, Canterbury and Dover and want to attract attention for your brand, please call us on 01233 624345 and we’ll put together a solution to help you get your message across.